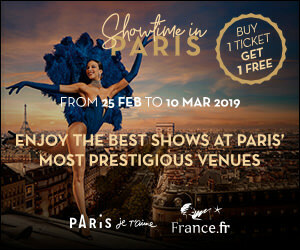 Enjoy a dinner cruise with the Marina de Paris to explore Paris from along the water and see the French capital from the Eiffel Tower: an exceptional evening! Depart from the agency Paris City Vision situated in the centre of Paris. Your excursion begins close to the Orsay Museum where you embark for a dinner cruise with the Marina de Paris. On this 1-hour15 cruise you will glide past magnificent monuments. An ideal setting in which to enjoy gourmet cuisine, in a relaxed atmosphere. See the menu "Découverte" (starter + main course + dessert + drink) of the Marina de Paris. Your excursion continues with a self-guided tour of the 2nd floor of the Eiffel Tower (with fast-track entry). Enjoy the unique panoramic views of the city lights below: Paris is at your feet! Your tour finishes at the Eiffel Tower, where you are then free to continue sightseeing in the area. Discover the heart of Paris around a delicious traditional meal!